As water resources dwindle, more and more focus turns to desalination technologies. In this interview with Water Online Radio, Harland Pond and Thomas Morrison of Grundfos talk about the company’s commitment to innovation and their quest to solve the world’s water problems. Grundfos recently released a new pump, designed to service the needs for high pressure and high flow applications, including membrane treatment. “It particularly fits well with desalination, so turning saltwater into usable drinking or application water in industries,” says Pond in the interview. 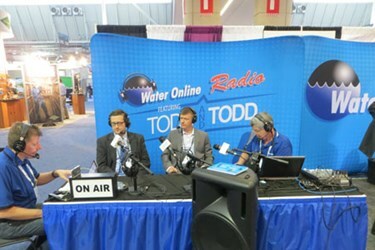 Creating a product for desalination applications is difficult, Pond explains. Energy costs and material costs are often high. But their new product is designed to keep those costs down. “We went back to this product and made some changes with our booster module system, and that's what we're launching. Our focus has been on energy and making sure that the end users can capture some better energy savings, but also have reliability and simplicity in the product line,” he says.